The District of bulandshahr is in Meerut region of Utter Pradesh located between Ganga and Yamuna rivers. This is situated between 28.4 0 south and 28.0 0 north latitude and between 77.0 0 and 78.0 0 longitude. The District is about 84 km in length and 62 km is breadth. The district is 237.44 meters above sea level. The river ganga is the east separates this District from Moradabad and Badaun district and in the west river Yamuna separates the district from haryana state and Delhi. In the north of district is Ghaziabad and in south east are the borders of Aligarh district. The geographical area of the district is 4353 sq km which is about 1.48 percent of the total Uttar Pradesh area. The urban area of the district is 122.8 sq km and rural area as 4230.2 sq km. This district is near to Delhi and is in national capital region. The nuclear atomic power plant is located at Narora town of the district. Near Sikandrabad town is located the national level satellite earth station. This is also an important grain producing agriculture District. Administratively the district is divided in to seven sub divisions Dibai,Anoopshahr,Khurja,Shikarpur,Siyana,Bulandshahr and Sikandrabad for development purposes there are Sixteen development blocks Bulandshahr, Gulaothi, Lakhaowati, Shikarpur, Khurja, Pahasu, Arniya, Sikandrabad, Anoopshahr, Dibai, Danpur, Siyana, B.B.nagar, Jahagirabad, Uncha Gaon and Agauta blocks. 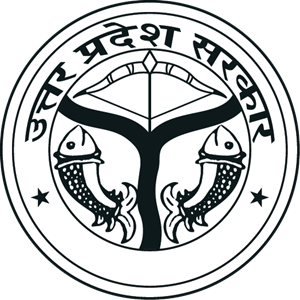 Bulandshahr Is An Important Agricultural District. It Has Undergone Green Revolution . Sugercane , Wheat, Maize And Potato Grows In Abundance. State Government Has Declare Fruit Belt In Syana Area. Mango Archads Are Located In The Area. White Revolution In The Form Of Milk Production Is An Important Activity In The District. Bulandshahr Is An Industrially Developing District. Khurja Town Is A City Of Potteries, Where Tehre Are More Than Five Hundred Potteries. Potteries Of Khurja Have Earned Reputation At National & International Markets. Sikandrabad Industrial Area Is An Another Such Region Where Several Big Industries Such Kajaria Tiles, Orient Ceremics, Jp Gold Paints, Jenson & Nicholson, Rajdoot Paints, P.a.m Pharmacuticals Etc Companies Are Located Here. In Bulandshahr There Is Panni Nagar Mill, Cooperative Sugar Mill Jahangirabad, Agauta Sugar & Chemicals Factory Are Established. There Is An Disttelary In Jahangirabad Sugar Mill. In Village Chola Is Located The Bibcol Factory For Manufacturing Polio Vaccines With Russian Colloboration. Besides Local Handicrafts And Other Artistic Things Are Made. Printing On Cotton Cloths Is Another Important Activity Done By Local Artisans. There Are Several Religious Places In The District. On Ganga River Naroura, Rajghat, Karnavas, Anoopshahr, Ahar And Gajroula Are Famous Centres For Religious Bathings And Temples. In Village Belon Is Located The Famous Temple Of Goddess Belon And In Ahar The Famous Avantika Godess Temple. There Is A Famous Shiv Temple In Ahar. In Karnvas Is Located Another Famous Temple Of Godess Kalyani.